There’s a great looking line-up coming to the Brunswick in Hove this Saturday night. 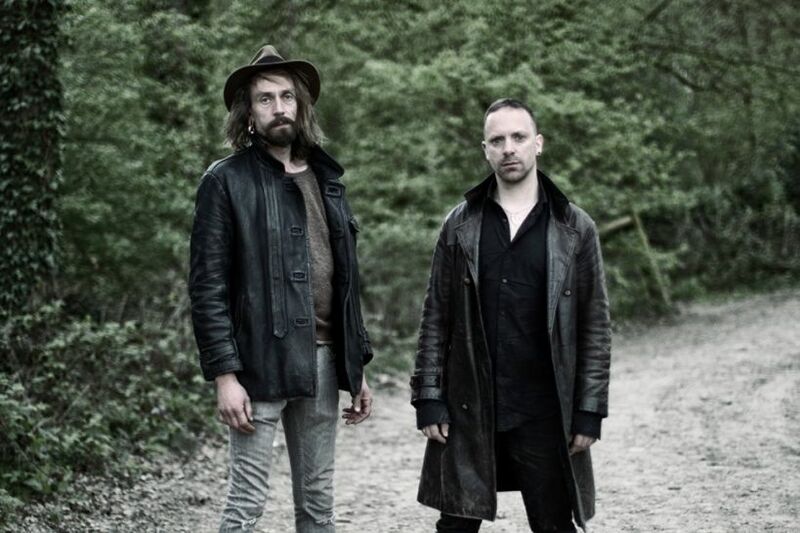 Ragged Rebel City are a Brighton-Icelandic duo (pictured) who play a mixture of acoustic new-folk and experimental guitar-based sonic work, drawing on Bonnie Prince Billy, Bon Iver and John Martyn as well as the more loop-based experimental side of independent rock. The duo consist of Oddur Mar Runnarson who used to be in Lamb and has played with ex-Lamb vocalist Lou Rhodes, and Stephen Hodd who has played with Passenger amongst others. They have a new album out in October which will be more song-based but their live shows tend to focus on the experimental side of their split-personality. Seadog are an independent folk band that have been on the Brighton scene for some years, releasing a series of excellent EPs of classic Americana singer-songwriter music. Centred around local Mark Benton the band has taken on many changes over recent years, and they will be well worth catching up with again. Seadog’s songs are receiving well-deserved airplay on BBC Introducing, Tom Robinson’s BBC 6 Mixtape and Amazing Radio. Be sure to get to the venue early so that you do not miss opening act Sharon Lewis. Sharon plays live far too infrequently but is one of the best songwriters and performers in town. Her two solo albums ‘The Hour Lillies’ and ‘Roses at the Top’ contain an array of beautiful heart-wrenching ballads and pop-folk, sung from a profound woman’s perspective, which have received far too little attention.